Could this scene from Shakespeare's A Midsummer Night's Dream have been drug-induced? WikiBard—Analysis of 400-year-old clay smoking pipes excavated from Shakespeare's garden and adjacent areas have tested positive for cannabis and cocaine. Using gas chromatography mass spectrometry (GC-MS), researcher Francis Thackeray of Johannesburg's University of the Witwatersrand tested 24 pipe fragments loaned to him from the Shakespeare Birthplace Trust. Eight of them revealed traces of cannabis, while two tested positive for Peruvian cocaine. Only one showed traces of nicotine. GC-MS is the recognized gold standard for forensic substance detection in divers fields including environmental protection, astrochemistry, and law enforcement. 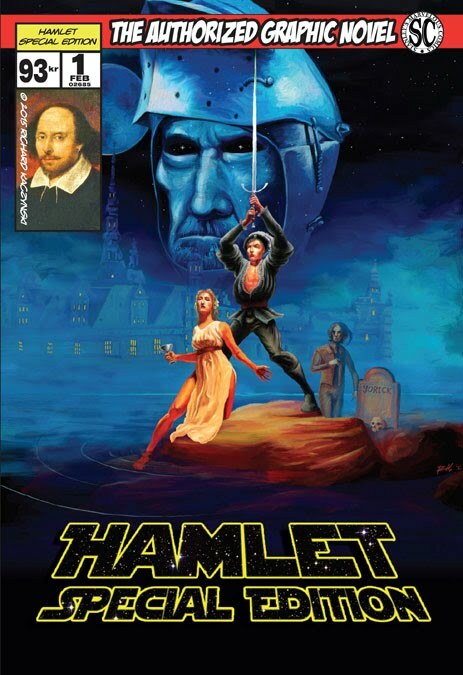 Reached for comment, Shakespeare denied that the pipes are his, and claimed that he spied some wastrels and guttersnipes in his curious-knotted garden just the other day when they should have been in boarding-school or begging on the streets. He said the pipes must belong to them, or to that weird Culpeper fellow. Shakespeare added that, in case anyone was wondering, the Dame Frances Beye-Cohn issues of Playbard underneath his mattress probably belonged to them, too. And by abscission, end it? Shakespeare was disappointed to receive news that, based on these GC-MS test results, his employment with the United States Post Office has been immediately terminated in accordance with Executive Order 12564, Drug-Free Federal Workplace. For the source of Shakespeare's dyme bags, historians have pointed to notorious New World drug smugglers Sir Walter Raleigh and Sir Francis Drake. INTERPOL are currently investigating their possible connections to Mexican drug cartels. This news has been met with differing reactions from the scholarly community. Ann Donnelly, curator of the Shakespeare Birthplace Trust museum, told CNN that, "People love to come up with reasons for saying Shakespeare was not a genius. I don't think there's any proof that he was helped in any way by taking narcotic substances." 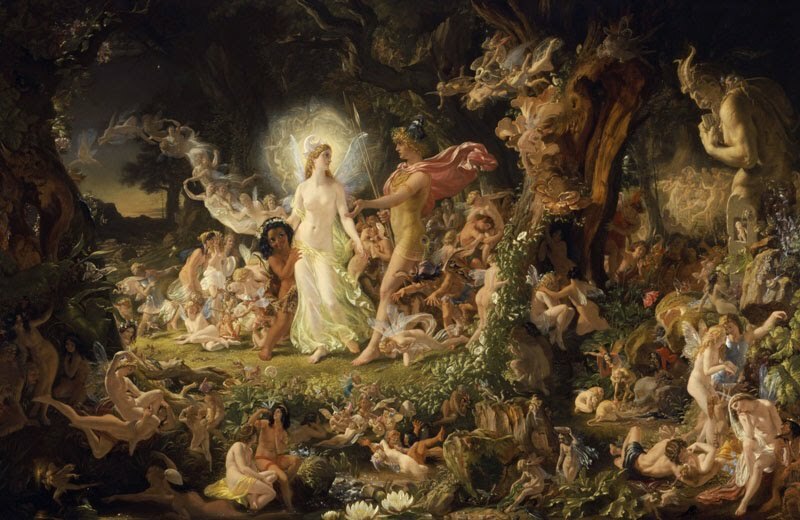 Meanwhile, when WikiBard asked Shakespearean scholar Jack Guardant of the Central University of Newcastle-upon-Tyne if he thought that some of the Bard's works were perhaps drug-inspired, he simply pointed to his blacklight poster of artist Sir Joseph Noel Paton's The Quarrel of Oberon and Titania from A Midsummer Night's Dream (pictured above) and asked, "Gee, ya think?" To read Francis Thackeray's research article, follow this link.